Black keylines are for position only (fpo). Do not print. The inner dashed cyan lines indicate the minimum text-to-edge boundary. Do not print. Magenta lines indicate trim line. Do not print. Disney Interactive Studios is a well-known brand that produce the range of equipment including fitness & sports. In our library we have 57 original references of this distributer . 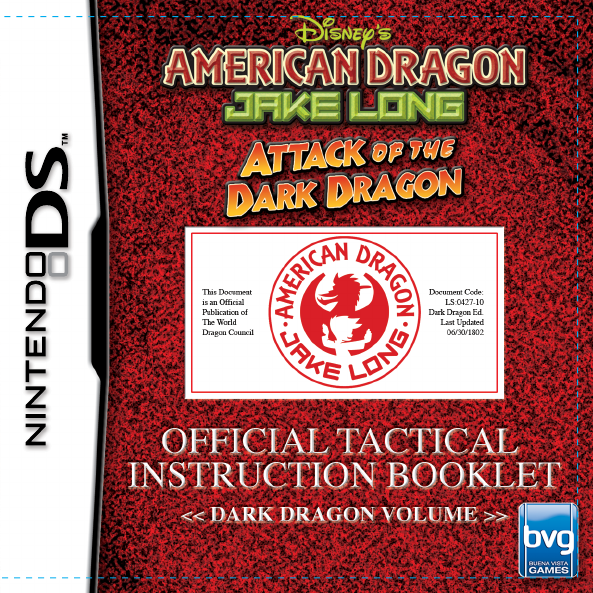 Now you're reading a user guide for Disney Interactive Studios Handheld Game System NTR-ARDE-USA.